This site is about helping you Achieve Your Dreams and Create More Freedom and Fulfillment in Your Life and Work. You know that I’ve had some real-life experience in these issues. While I don’t believe I’ve “arrived” or that I have mastered everything regarding how a person can live the life of their dreams, I do have some reasons why you may want to read what I have to say. It’s up to you. As I close the introduction portion of this site, I want you to know a few things you can expect from it. This site is really all about you and your hopes, dreams and aspirations. 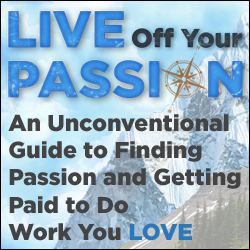 I promise to share with you what I know (all the tips, tricks and techniques I’ve learned from some very successful, influential and wealthy people) about how to plan and live the life you’ve wanted, but perhaps never thought you could achieve. I promise to write in a simple way that everyone can understand. I promise to be honest about what has worked for me and what hasn’t…and why. I promise the site will feature articles, interviews with people who have something good to say on the topic, reviews of products, my personal recommendations, and anything else I can think of. I promise to have fun along the way. This is a serious subject, but that doesn’t mean we can’t have fun and laugh a little! In fact, I find great joy in helping people live the life of their dreams. I invite you to join me. I hope you will visit frequently, add your comments, and tell your friends and family about the site that offers free and simple advice on how to plan and achieve the life (and work) of your dreams. Life Compass – Why Listen to Me? This site is here to help you Achieve Your Dreams and Find Greater Freedom, Purpose and Fulfillment in Your Life and Work! So, who am I? And why do I think I have something to say about this topic? I’ve been mentored for over twelve years by some very successful, wealthy and influential people who have taught me much of what I’ll be sharing with you. They helped me unlock some of the secrets of how to accelerate the achievement of my goals and dreams. I’ve had several “dream jobs” in my life. In fact, several of them were created just for me. Others seek me out as a coach, counselor and advisor on spiritual, career, financial, life purpose and other issues. I’ve made lots of mistakes in my life and have learned from them. I’ve taught workshops and classes on spiritual, career, financial, life purpose and other issues. I believe I have an obligation to give back and to share with others what I’ve been learning and implementing in my own life. I love helping others achieve their dreams and live to their full potential. The ability to do the work I love in the way that best suits my lifestyle goals at this time. Greater balance in my life and more meaningful family time with my wife and five (yes, five) children. The freedom to travel across the U.S. and the globe both for fun and for humanitarian and charitable causes I care about that are making a real difference in the world. The freedom to pursue my mission in life which is to help others live the life of their dreams and create more freedom and fulfillment in their life and work. The tips, strategies and techniques I’ve learned (and am still learning) can be used by anyone! That’s what I’ll be sharing here at Life Compass. Now, you can decide if you want to read on. I hope you do. Hello and welcome to Life Compass! This site is here to help you Achieve Your Dreams and Create More Freedom and Fulfillment in Your Life and Work. Lifestyle design, leaving the 9-5, dream fulfillment, and goal achievement are hot topics today. I think they are popular because, deep down, everyone wants to live the life of their dreams…a life of significance and fulfillment. Sadly, only a few seem to achieve it. I’m writing on these topics because I believe that everyone, regardless of age or stage in life, can make a simple plan and take some real steps forward in achieving the life they want and the work they were meant to do. In the next few posts I’ll tell you a little about myself and why I feel I’ve got something to say on the topic. But don’t let me do all the talking. I hope you’ll join in the conversation too, so we can all learn from each other. Again, welcome to Life Compass – and thanks for joining me!